Windows 8 Release Preview released! Folks, It’s time to download and Install Windows 8 Release Preview…Buhbyeee Consumer Preview! If you are interested, go ahead and grab it from http://windows.microsoft.com/en-US/windows-8/iso. 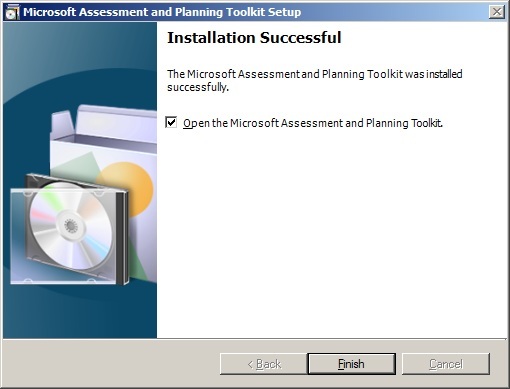 For Installing Win 8 as a Dual Boot, you can follow this post. Have Fun! 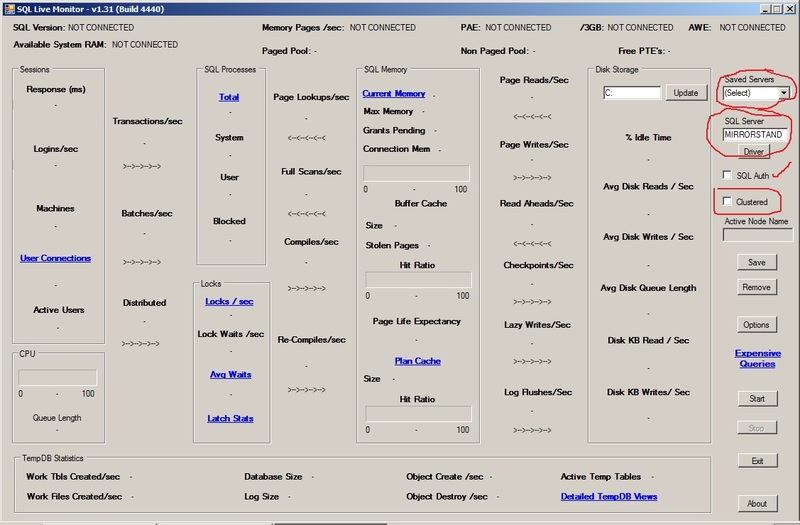 PetaBytes(6000 TB) SQL Baby – Single SQL Server DB Backup File!!!!!! It was just an another typical day for our DBA team and we all were busy with some routine tasks and some ongoing projects…All of a sudden, one of our DBAs was all excited to see a Backup file on a Network Share with a size of 6PB and..we all went to his cube for double checking the size of file what windows is showing. Yes, he was correct…That’s the largest Backup file(Well, any file in that matter) which I never saw in my entire life so far! I just couldn’t stop sharing this with you all before I get more info on this. I Bet, this is the largest Backup File you might’ve ever seen(for maximum viewers of this post)! I can’t even imagine how to maintain such a huge Database with all routine Maintenance tasks which a typical SQL Server Database needs!!! 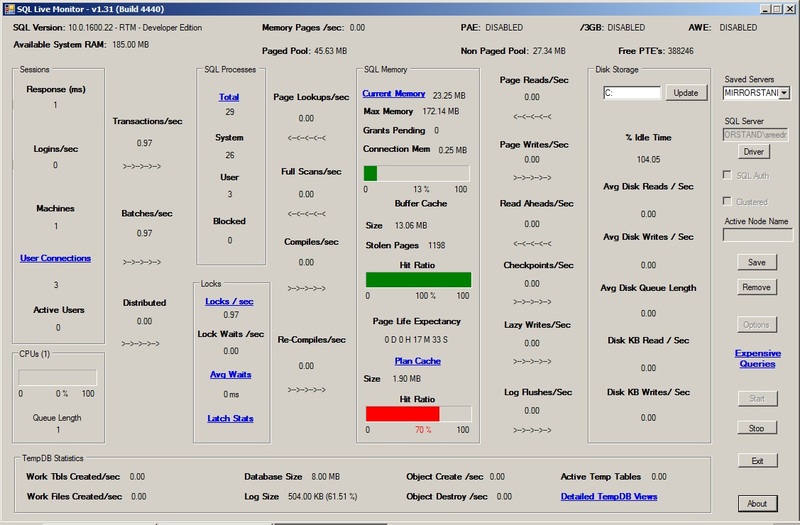 SQL Live Monitor – Great Free Monitoring tool from Codeplex! 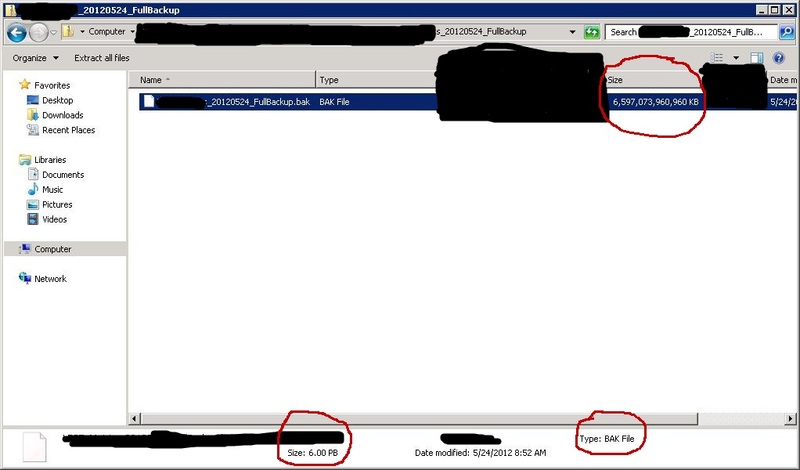 How many times do you use DMV’s daily supporting your SQL Server environments? How many of you rely on 3rd party tools for looking at the current snapshot of your SQL Server? Let me say this, I use DMV’s a lot even though I’m provided with fancy 3rd party monitoring tools. Each approach has it’s own pros and cons! Let’s assume our shop has no 3rd party tools for monitoring and we are just relying on native SQL Server mechanisms for all our monitoring. In that case, I can say 90% of the monitoring/Gathering Info will be done just using DMV’s. What if we’ve a free tool which displays the DMV results(of course, not everything..but all the useful info at a single glance) in a pictorial representation? That would be awesome right?? Well, most of the cases, I feel seeing something visually is much more self explanatory and efficient rather than just looking at figures and numbers. YMMV! SQL Live Monitor can do the same for you. It’s a free tool available from CodePlex community. This tool don’t even require any Installation. It’s just an executable(222 KB) which runs on fly without installing anything on your Servers. Isn’t it cool?? Let me show you how it looks like when I run against one of my Lab Servers…I copied SQL Monitor exe to my Server as you can see below and I just double clicked on it….No other Fancy Stuff needed! Immediately I was welcomed with the following Screen. Awesome….! Undoubtedly this is one of my favorite tools from codeplex 🙂 Yes, this is not as fancy as other 3rd party tools out there, but still it does the justice and serve the purpose with much much less pain! 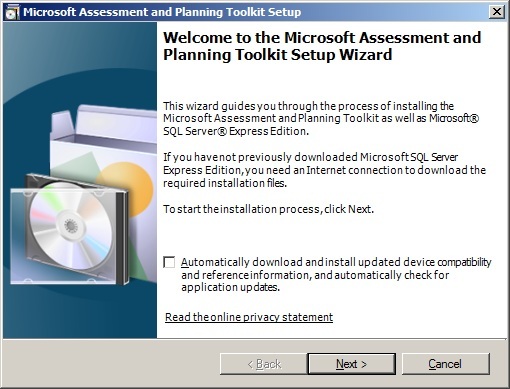 Microsoft released SQL Server2008R2 SP2(CTP) yesterday(13th May 2012). Once downloaded, choose a Machine in your Domain where you want to Install MAP tool and start Discovery. 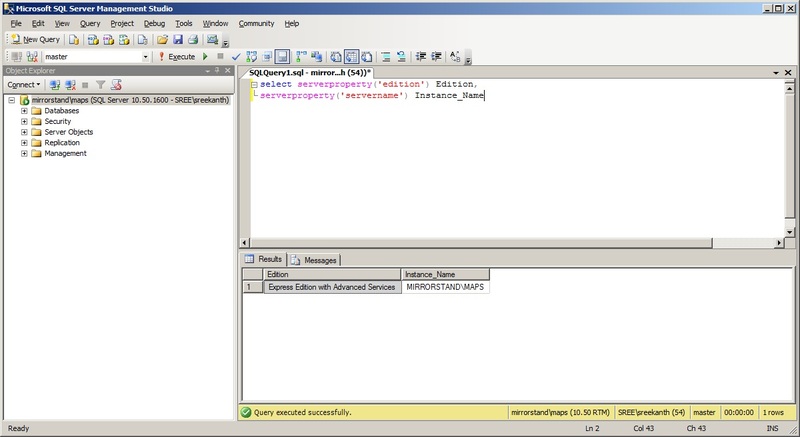 Note: MAP tool Installs SQL Server Express by Default for storing it’s Results. Click Next-> Accept License Terms and Next->Select your Installation Folder(I left it to default) and click Next. 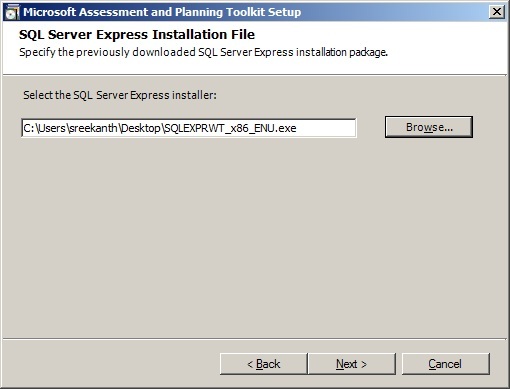 Now comes the interesting Screen where it asks for how do you want to Install SQL Express(see below Screenshot). If your Box is connected to Internet, Just select the 1st Radio Button. 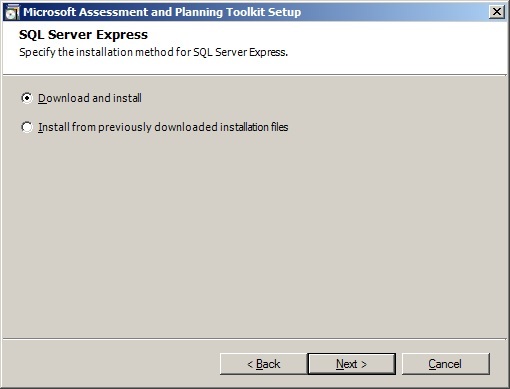 If not, select 2nd option and provide it with the SQL express Installation media path. 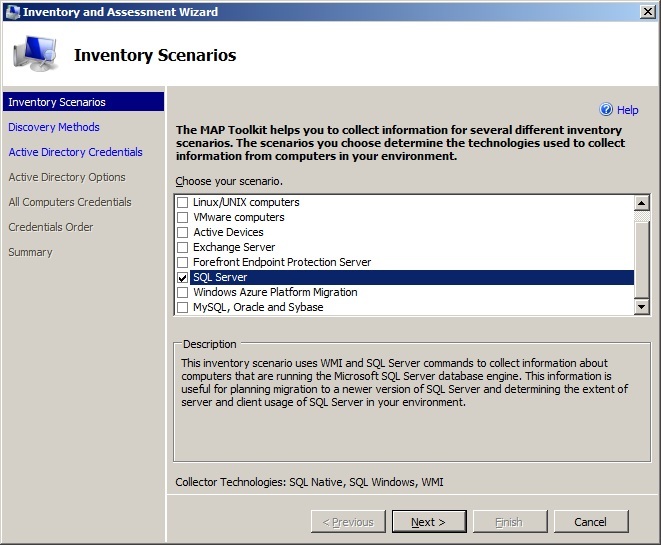 I’ve chosen 2nd option and provided path for my SQL Express 2008R2 as shown below. Once you read and accept the license terms, you should see a similar screen as below. 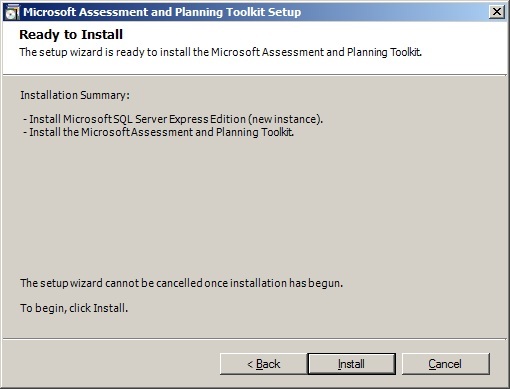 (In My case, I already have a SQL Server Installed on this Machine, hence you can see “New Instance” being stated by the Installation wizard). Click on Install and go and grab a cup of coffee :). It’ll take a while! As you can see, my Installation is successful now. We are done with the Installation. 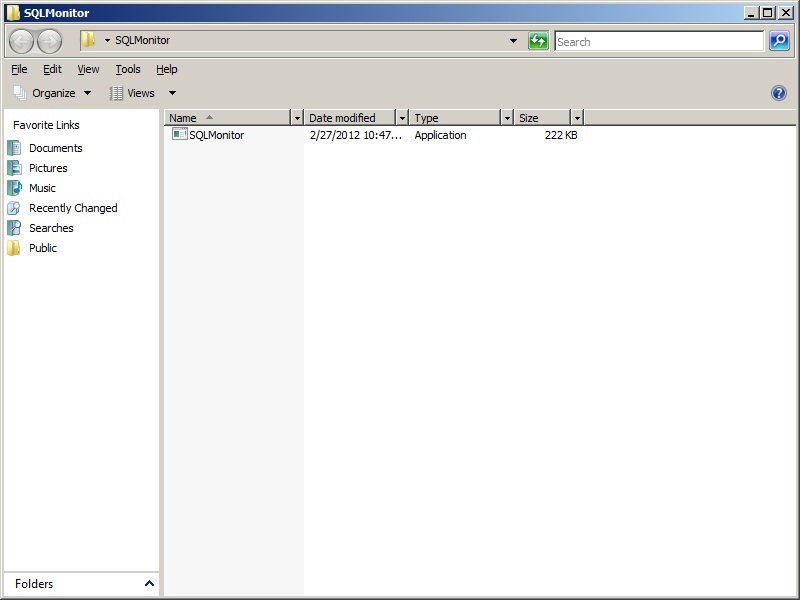 Now, let’s see how can we discover SQL Servers across our Domain using this Tool. Step1: You will be welcomed with the below screen where you’ve to create an Inventory DB(I named it as “SQL_Inven”) for the First time. (You can create separate Databases for separate Discoveries, eg: One DB for SQL Servers, another for Exchange, another for VMWare Servers etc). 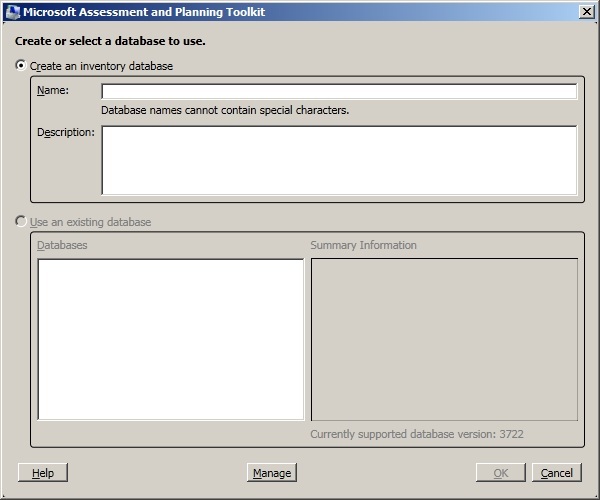 Step2: Select on Databases and Choose to perform an Inventory as shown below. 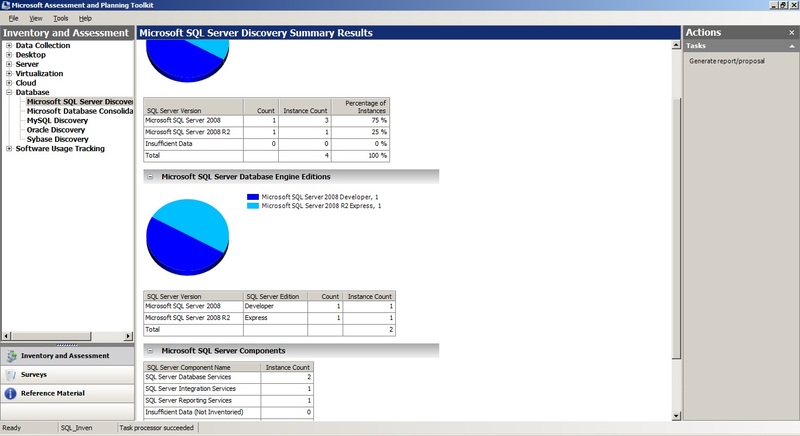 Step 3: Select SQL Servers to discover your SQL Servers as shown below. Step 4: Choose a Discovery Method. I’ve left to default to AD as you can see below. 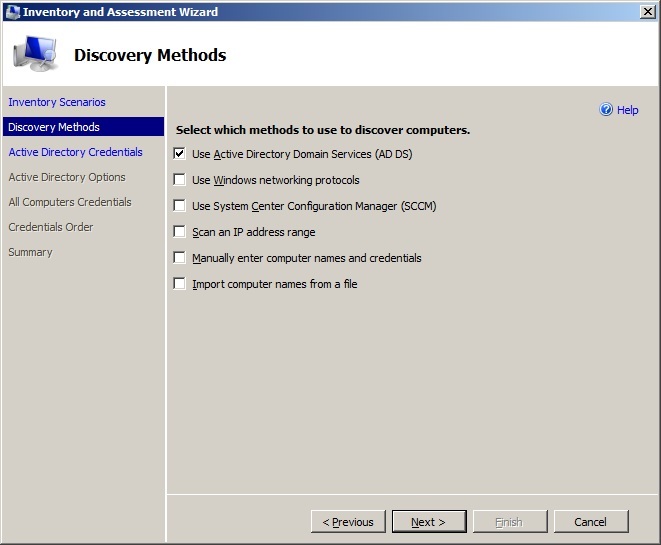 Step 5: Provide domain Credentials and select which parts of your AD Forest to scan for as shown below. 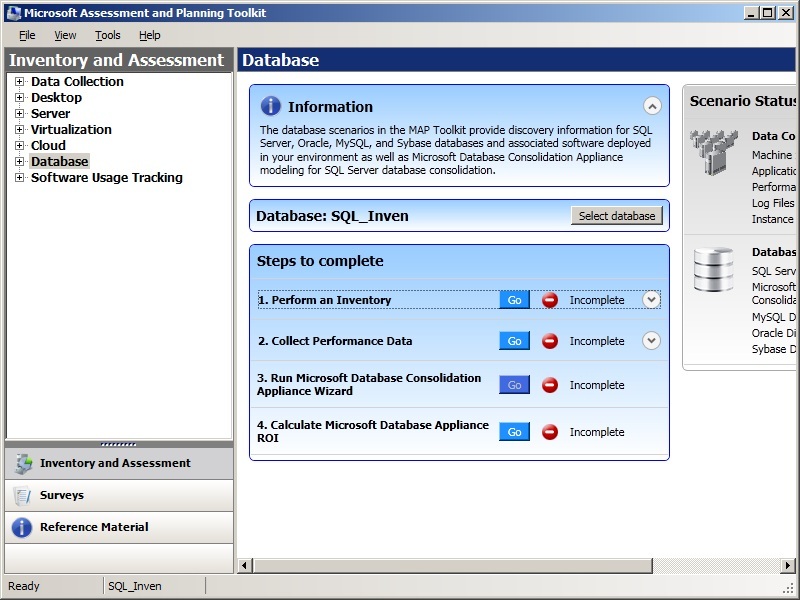 Once it finished, you can see a neat and very useful summary of MAP assessment of your SQL Servers as shown below. Nice thing is, It’s agent less. All it needs is an Account name which has access to the Servers and the Servers should be Up and Running while It scans. How to Truncate/Delete all Tables in a SQL Server Database? How to Truncate/Delete all Tables in a SQL Server Database in three simple steps???? Howdy! In this post let’s see how to truncate/delete all the tables in a given SQL Server Database and few important considerations while doing so. Imp Note: We can’t Truncate tables with just Disabling Constraints. SQL allows only if you drop them physically. So, what is the Option I’m left with. Well, Delete is my weapon now. How I did this was.. So, what should we keep in mind if we are considering this approach?? The Very First thing is your Transaction log. How much room do you’ve for your T-log to grow is single most important consideration for this approach. Because Step2 will run as a single Hugee…..transaction. Let me say this in other Words, My Database was in SIMPLE Recovery Mode and I was monitoring the T-Log constantly..It grew upto 15.4 GB for doing this Delete(and the entire Database Size was 7.2 GB). Just Make sure….you are good here before taking this approach for a Medium-Large Database. Once you are done with this, do not forget to bring down your T-Log size accordingly.